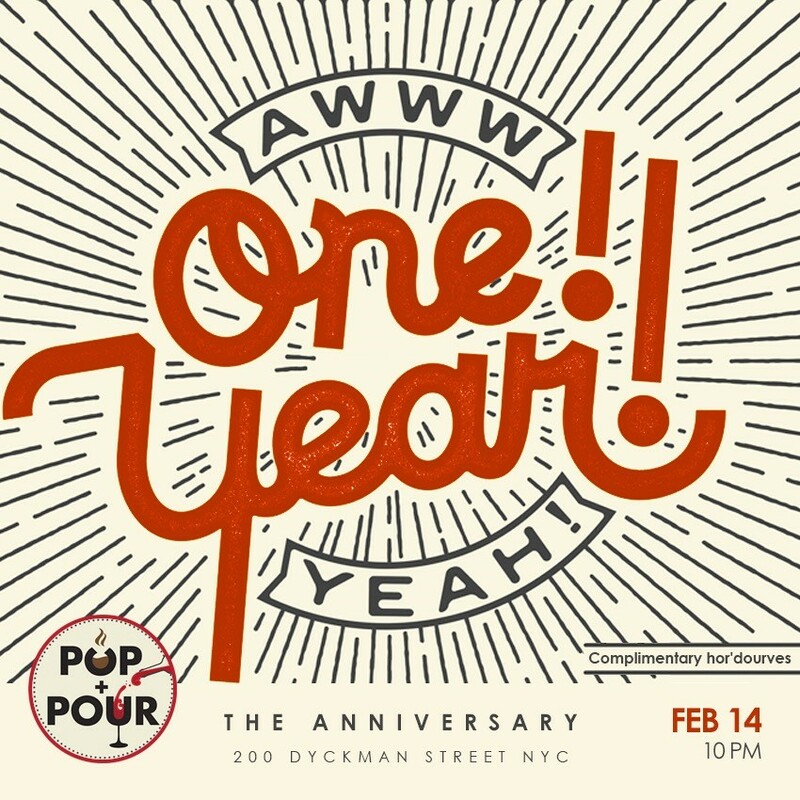 Can you believe Pop+Pour has been open for one year! We have, and we'd like to celebrate this very special occasion with our friends, family, and supporters. Everyone is invited to join us on Wednesday, February 14th, at 10pm for delicious food, wine, and beer! Complimentary passed hors d'oeuvres for all!